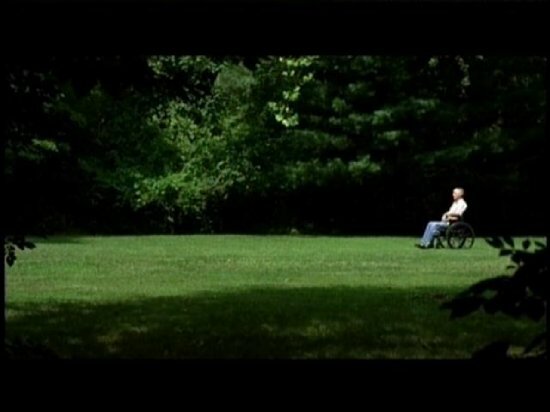 Director Biju Viswanath has created a joyful testament to the triumph of love and the reserve and resilience of the human spirit with Marathon (2009). 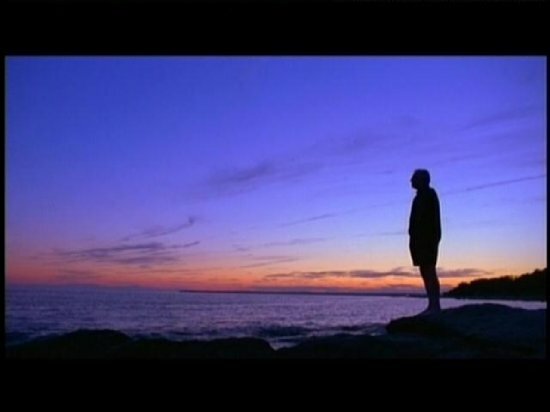 It tenderly brings the poignant and inspiring true story of the relationship between Poet Laureate William Meredith and his lover, poet Richard Harteis, to the screen. When poet and teacher Meredith suffers a stroke, his long-time companion Harteis, a writer, and marathon runner, begins a determined battle to nurse his lover back to health. Confronted by a legal system and family members that do not recognise their union as well as an arduous therapy routine, Harteis never gives up hope - giving his lover emotional and physical support that ultimately allows each man to find the courage inside him to conquer the burdens, which lay ahead. 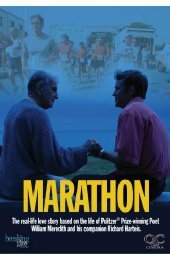 Told with an eloquence of prose and evoking passionate emotional responses - much like Meredith's own poems - Marathon, based on the book by Harteis, is a stirring portrait of two men's unpredictable journey- what it takes to cross the finish line. Biju Viswanath's Marathon is about love, life and death. After having a stroke, William Meredith became an empty shell. His lover Richard Harteis helps to reclaim this lost humanity by showing William love, respect and affection. Instead of throwing him into a nursing him he gives William the strength to recover. It is about the journey Richard makes and the decisions that affect his own life. Bounty Films released Marathon on 29th March 2010. Disc: It's always disappointing to see a film that lacks professionalism. This could be down to the transfer but the majority of problems (it seems) are with the film. For one, the sound crackles and is filled with muffled high-pitched voices. The second is a camera shift, which takes you out of the action. How difficult would it be to retake one simple shot? If you are a filmmaker, it's not good to make mistakes like this. Lastly, the dialogue is out-of-sync in certain sequences and there are fluctuations in picture quality. This does not ruin the inimate story and beautiful imagery but it takes you out of the magic. Special Features: Television interview with producer Richard Harteis, Director Biju Viswanath and screenwriter Celia de Fréine (26min), William Meredith reading at the library at congress (35min), Interview with Marathon runner John Kelly (19min), Documentary about the William Meredith Foundation (6min). Verdict: It's great to see a 'gay' film that focuses on humanity rather than sexuality. The gay interest tag attached to this movie will alienate potential viewers. It is not about this. It is a powerful story about love, tenderness, mortality, beauty, respect, friendship and affection. Live what you believe because nobody lives forever.